Christmas is a magical time, but that's never more apparent than when you are celebrating Christmas with preschoolers! Their excitement is contagious! I find myself going out of my way to create new, special holiday traditions that we can continue year after year as they grow. If you're also looking for ideas for creating new Christmas traditions with your little ones, here's a good selection to start with. 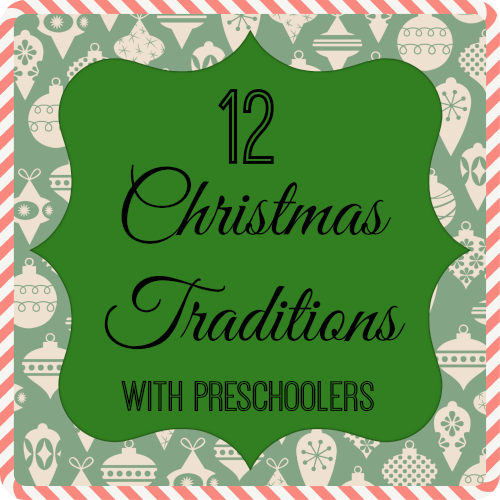 Some are our own family's traditions, and others are ideas from other bloggers. Hope you find just the thing to make your family's Christmas magical, too!